UAE is becoming one of the most attractive destinations for highly educated people. This is the reason why with every passing day more and more people are applying for immigration so they can get settled there with their families and live a better life. 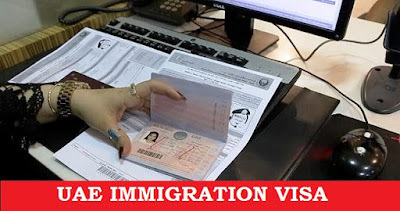 But in order to apply for UAE immigration, it is better for the applicant to understand all the critical steps and requirements that are mandatory to be fulfilled in order to avoid hassle and uneasiness at the time of paperwork and further processing. For UAE, the visas of immigrant individuals are only processed in Abu Dhabi. For immigration purposes, the applicant must fill out the online application form and fill out the mandatory boxes with appropriate answers. He/she must also attach their recent photographs according to the demanded format. After the form has been processed by the US embassy in Abu Dhabi, the applicant will be called for an interview. The location and timing of the interview will be notified to the individual whom they must follow accordingly. A certain amount of visa fee should also be submitted at the time of submission of visa application. For immigrant visa in UAE, there are some documents that must be provided on the demand of embassy. These documents include original passport along with its two clear photocopies, marriage certificate of the person along with its photocopies and an English translation, birth certificate of the applicant along with its copies, colored photograph of the applicant taken within thirty days of the date of his petition, police clearance certificate from the home country where the applicant has lived for more than an year after age of 16, approved medical examination certificate is also needed by the US embassy signed by different panel physicians, financial support proof of the applicant, his domicile and his employment proof. Visa processing time in UAE has improved greatly over the last few years and they are now obtainable quite quickly these days. A certain amount of delay can occurred if the paper work has not been completed relevantly or if any essential document has not been provided at the time of submission. In some cases, if the information given by the applicant is not relevant, the application can also be rejected. After processing time is over, applicant may receive his/her residence visa on the basis of jobs offered to them. But the sponsor will have to spend a lot of money to bring their employees into the country. If any person has been born outside the state to a UAE father, then he can claim the citizenship to UAE but they will never be permitted to hold dual nationalities according to the laws governed by UAE government. A foreign citizen who may marry an emirate citizen will be allowed to have citizenship here but the law is only applicable after ten years of marriage.